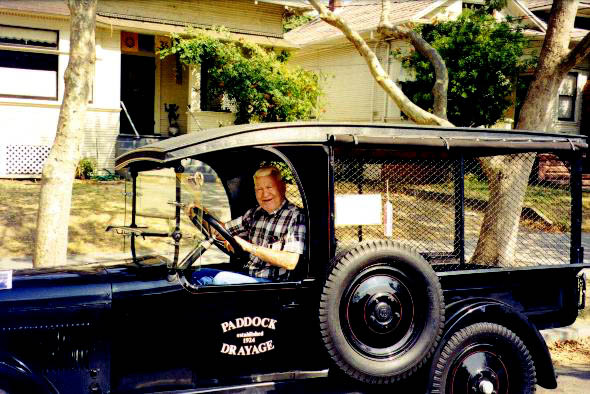 One day in 1958, my father, George Paddock, was looking for parts for his 1918 Cadillac. 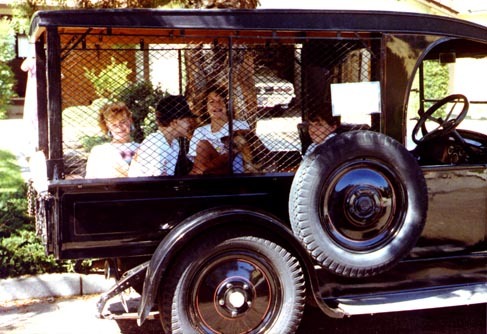 In a garage in Villa park (Orange County), CA, he spotted a 1924 Dodge Brothers Screenside delivery truck. Needless to say, he bought it. I drove the truck for special events during high school. 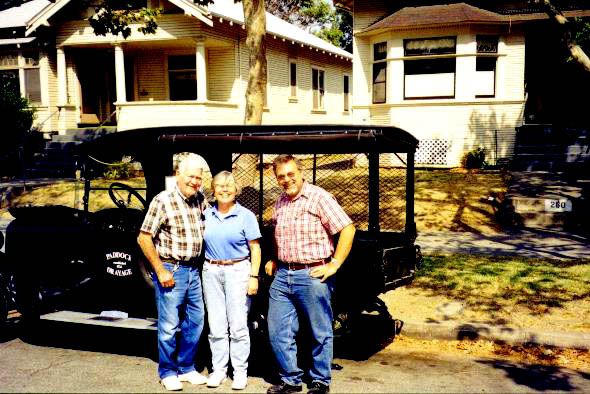 The truck was in driveable condition but had an engine and transmission from years other than 1924. In the early '60s, he undertook a full restoration. The truck now has all components from 1924. The top is a wooden frame covered by a naugahyde cover. The top took many hours with a band saw to construct. My father retired in 1984 and moved to a smaller house. Since he could not keep the truck, I volunteered to keep it for him. I have had the truck since that time. 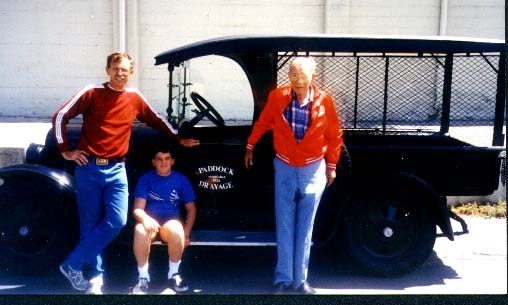 The picture below was taken in 1989 with my father, my son Bryan and myself. My father has passed on but is still remembered each time I drive his truck. Left to right: Stan Paddock, Bryan Paddock and George Paddock. During the Santa Clara county fair, we met Angel Garcia. 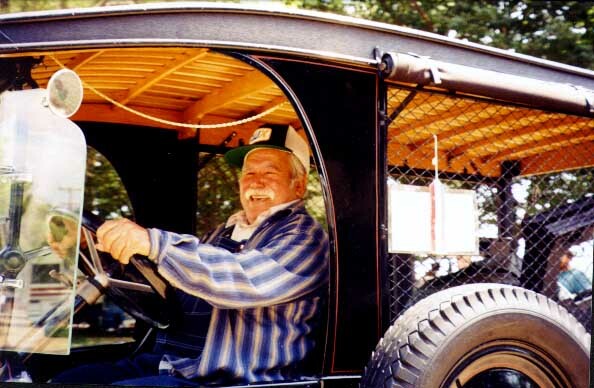 He was born in the 1924, the same year the truck was built. Vernon Hylton gets a try at the wheel.